Since April 2017, users of Microsoft Windows 10 can download their Spring update for this operating system, the "Creators Update". 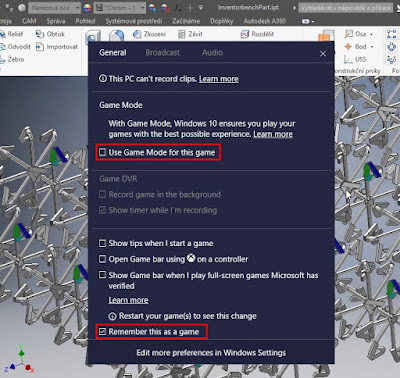 One of the new features in this updated Windows version, which could be interesting for professional CAD users (besides 3D Painter), is the newly added Game Mode. 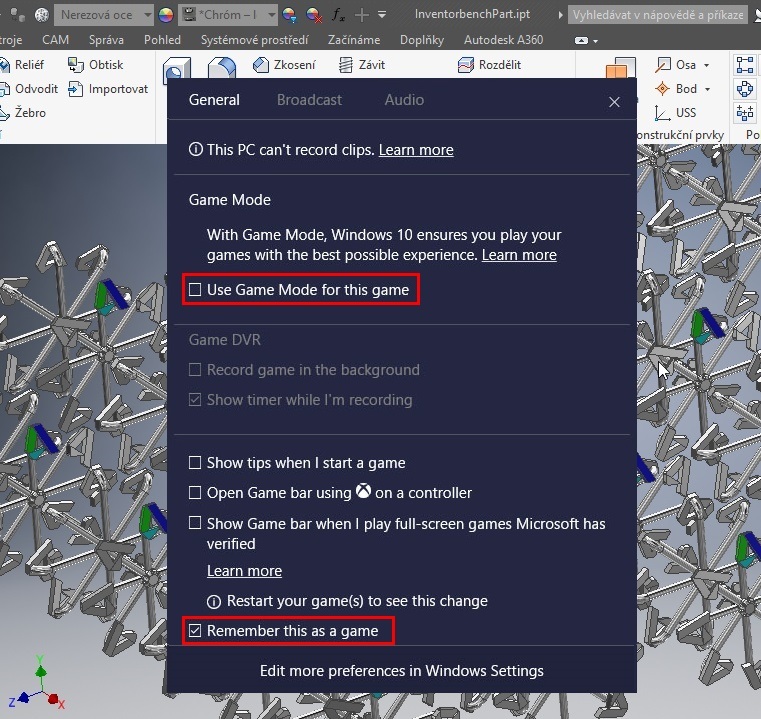 This setting can reserve more Windows system resources to applications which are marked by the user or directly by the application vendor as a "game". 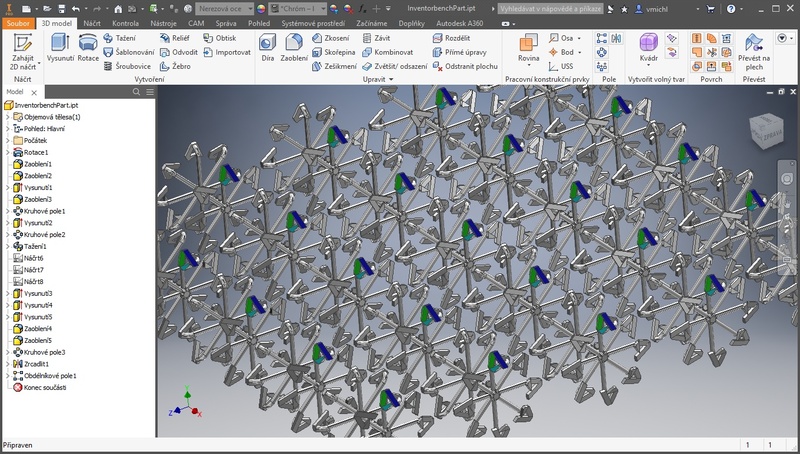 And because system resources are always a rare commodity in the world of 3D CAD, we've tested the effect of the "Game Mode" on a demanding 3D design application, Autodesk Inventor 2018. As with games, the special gaming mode is primarily beneficial on low-performance computers, where the struggle for system resources is toughest and their deficiency is most evident. On super-performance workstations, it cannot be expected that a mere priority-assignment method would lead to a measurable increase of application performance. 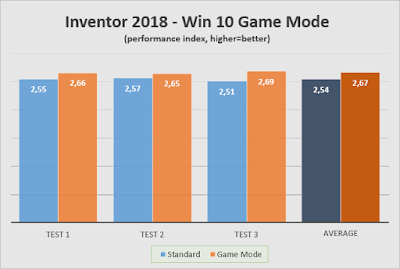 To test the effects of the Game Mode, we chose Inventor 2018 and the Inventor Bench benchmark, discussed e.g. last year on our Czech blog Inventor Guru. The tests were conducted intentionally on a weak older machine - HP Pavilion with Intel Core i3 CPU at 3.3GHz, with 8GB RAM, Intel HD graphics and of course with the current version of Windows 10. The results of the benchmark test are expressed as a "Inventor PC Index" (IPI, higher is better). 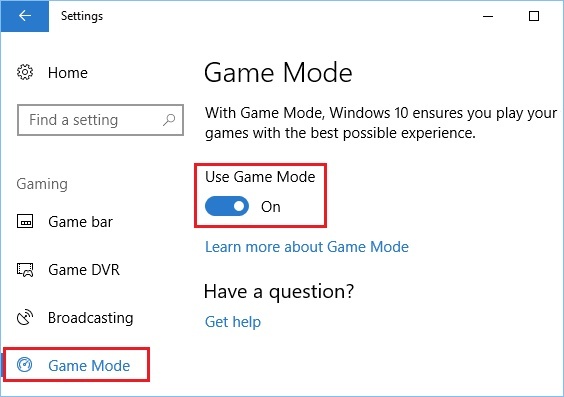 Turning on game mode for a given (running) application can be done from the Game Panel, which can be invoked by pressing the Win + G keyboard shortcut. Click the gear icon to access the application's options. 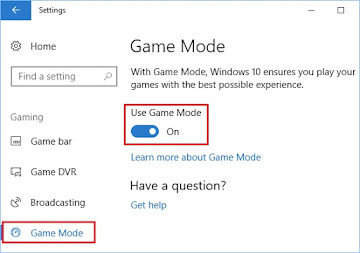 You need to turn on the options "Use Game Mode for this game" and "Remember this as a game". The settings will take effect on application restart. Similar minor performance improvements can be expected also with other 3D software applications such as AutoCAD, Revit or 3ds Max. Please note that the benchmark test results are not fully authoritative - when processing other CAD or BIM models with other (higher) memory requirements, geometry complexity, linked Excel spreadsheets, with add-on applications, with Vault or other concurrent processes and with other workflows, the influence of the individual workstation parameters - and thus the resulting practical performance - can differ from the results of a unified benchmark. You can discuss more recommendations on hardware and workflows to maximize the performance of your 3D CAD and BIM applications on www.cadforum.cz.